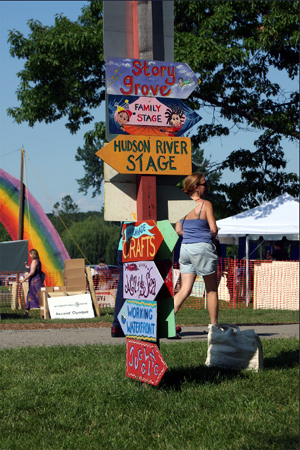 The Clearwater Festival, also known as Clearwater’s Great Hudson River Revival, is the country’s largest annual environmental celebration. The well-respected event is held at Croton Point Park in Croton-on-Hudson, New York. Croton-on-Hudson is about 38 miles north of Manhattan. The festival takes place in June. It celebrates the Hudson River and benefits the Hudson River Sloop Clearwater, Inc. The nonprofit aims to preserve and protect the Hudson River. The nonprofit, and the festival, were created in 1966 by Toshi and Pete Seeger—the famous folk singer and activist. The two-day event has raised millions of dollars and helped tens of thousands of adults experience the Hudson River. The event is renowned for its sustainability and sensitivity to those with disabilities and hearing impairments. Besides live music on seven stages, the festival offers several attractions: Artisanal Food & Farm Market, Juried Handcrafters’ Village, Green Living Expo, The Circle of Song, and a working waterfront. There’s also a Jam Tent. Attendees are encouraged to bring their voice, or their acoustic instrument, and join an informal jam session. For children, there’s face painting, net seining, river beach combing, jugglers, clowns, and a family stage. One of the goals of the festival is to get people on the Hudson. To that end, attendees can ride a plethora of water crafts including the Sloop Clearwater and the Schooner Mystic Whaler. Both vessels offer deck tours and multi-hour sails during the festival. Funds raised by the early festivals built the Sloop Clearwater. The boat is a floating classroom and a testament to what people can accomplished with passion and hard work. Back in the 1960s, the Hudson River was dead. Its ecological system destroyed by centuries of pollution and industrial waste. Pete Seeger was fed up with the lifeless river and decided to build a boat. He hoped the Sloop Clearwater would serve as a beacon of hope and a call to action to save the waterway. In the beginning, Seeger held small benefit concerts where he “literally” passed around his banjo to collect attendees’ donations. The festival has been held on the Hudson River at Croton Point Park since 1978. It was forced to move inland for a decade due to pollution. Aztec Two Step at the Clearwater Festival 2007 on 6-16-07 photo by Anthony Pepitone. Rex Fowler at left and Neal Shulman on the right. Purchase Clearwater Festival Croton On Hudson 2018 tickets now. Our ticket prices are competitive and we're committed to getting you into the best seats to enjoy the live show. Search through our large selection of cheap concert tickets and locate and purchase your seats for the Croton On Hudson, New York tour stop here. All our Croton Point Park tickets are always 100% guaranteed. We know that going to a concert is a big deal. We also understand that live music is often an unforgettable feast for the senses. That's why our priority is to get you into your ideal seats at the price you can afford as easily and securely as possible to enjoy Clearwater Festival. Your ticket order will be processed right after you buy them using our safe and secure servers. Whether you live in or nearby Croton On Hudson, NY, this is the place to reserve your seats to see Clearwater Festival live in concert at Croton Point Park. Concertgoers can peruse our extensive choice of concert seats. From premium center stage seating to front row seats, or from VIP packages to e-tickets, floor seats and group tickets, we offer a massive choice of tickets from which to choose. How Much Do Clearwater Festival Tickets Cost? Ticket prices for any of Clearwater Festival's tour dates including Croton On Hudson vary by venue and seating. 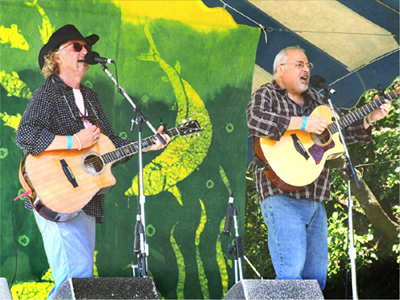 You can see our pricing and Clearwater Festival's tour schedule here. We have one of the largest concert ticket selections online and offer a wide range of choices, from dirt cheap discount seats or last-minute deals all the way up to top-notch premium seating, for Croton Point Park and for concert venues across North America.